Deputies and Police Seize Large Amount of Methamphetamine, Arrest 4, CORRIGAN, May 4, 2016 - Sheriff Hammack is proud to report that there was a substantial drug seizure and arrests made by his Deputies and the Corrigan Police Department. In the early morning hours of May 4, 2016, a Patrol Deputy initiated a traffic stop on Ricky Wayne Freeman ,Jr., 30, and Norma Graciela Felipe, 26, (both of Corrigan). During the traffic stop approximately 1 gram of Methamphetamine was discovered. Freeman and Felipe were arrested for Manufacture / Delivery of a Controlled Substance. A search warrant was obtained to search the residence where the two had been residing off US-59 in Corrigan. The residence was found to be occupied by Javier Martinez Calderon, 36, and Suri Sadai Contreras, 30 (both of Houston). During the search, 24 grams of Methamphetamine, a large quantity of Xanax pills and an AR15 rifle were recovered. 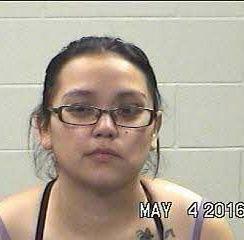 Calderon and Contreras were charged with manufacture and delivery of controlled substance. 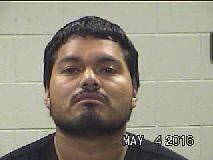 Additionally, Contreras was charged with felon in possession of a firearm. 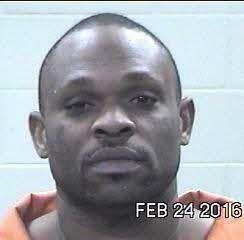 Ricky Wayne Freeman, 34, of Corrigan: Manufacture and delivery of a controlled substance (felony). 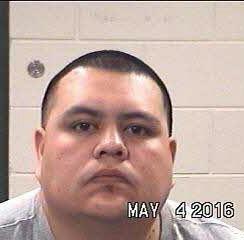 Javier Martinez Calderon, 36, of Houston: 2 felony counts of manufacture and delivery of a controlled substance.